GCD | What is the purpose of the Bible? I was recently taking a walk with my family through our neighborhood. 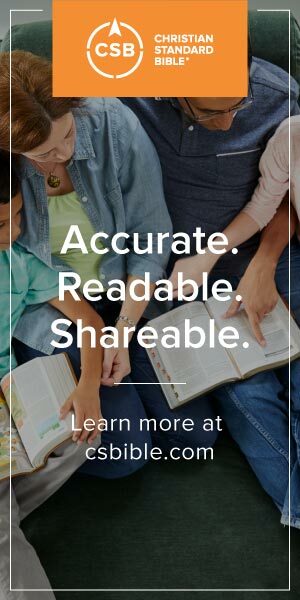 We ran into some neighbor friends and in the midst of conversation began discussing the recent History Channel series, “The Bible.” The neighbor asked my thoughts on the program’s accuracy, both historically and theologically. This opened the door for the question: What is the purpose of the Bible? This is a great question that is not always answered well. There are several misconceptions about the Bible’s purpose. For some, the Bible is seen as a collection of mythical stories about heroes whose point is to convey a moral lesson. For others, the Bible is seen as a book of lessons and rules by which we live good lives. In the over-churched yet under-gospeled South, the Bible has even been misapplied to justify preferences, lifestyles, and, at times, foolishness, that Scripture itself does not mandate. Often, this stems from limiting the Bible to information that a person should learn – mere knowledge to acquire but never practice. Likewise, the Bible can be limited to mere practical steps for living. While both of these features are important and have a role in discipleship, they miss the full purpose of Scripture. Scripture is a grand story of redemption in which we find our story. It is the authoritative word of God, inspired by the Holy Spirit, revealing the person and work of Jesus. When we listen to Scripture in discipleship, we will be transformed to become more like Jesus together. As a music major in college, I studied classical guitar. I also played in a local band that kept busy playing shows, recording albums, and pursuing the rockstar dream. This often kept me from a disciplined practice of classical guitar. Once in a group meeting of all the classical guitar majors, our instructor advised, “Be sure you’re listening to good music. Don’t listen to junk that’ll just ruin your ears. Listen well and strive to create something good.” He urged us to focus on both music theory and practice. Around that time I attended a concert in Atlanta featuring Christopher Parkening, one of the greatest classical guitarists of our time. Parkening played solo guitar in a way I never thought possible. His dynamic style featured fast, technical melodies as well as lush, peaceful tones. The concert was nothing less than inspirational. In that moment, I witnessed the beauty of both the technical theory of music and its performance. I was transformed and encouraged to study the technique of classical guitar as well as to strive to excel as a performing musician. This affected not only me, personally, but also my fellow classmates, as we cheered each other on toward better performance. Similarly, our discipleship is a marriage of theory and practice – the information of gospel truth as well as the practical application of that good news. In this way, Scripture becomes the tune to which we are to listen – a beautiful symphony composed and performed by God. The “information” of Scripture is the grand story of redemption, revealing the identity, character, and nature of our God. This story’s hero is Christ himself. In teaching his disciples, Jesus states, “These are my words that I spoke to you while I was still with you, that everything written about me in the Law of Moses and the Prophets and the Psalms must be fulfilled” (Luke 24:44). Likewise, the “practice” of Scripture is the application of this truth. James 1:22 says to “be doers of the word, and not hearers only.” Other examples include the instruction to love one another (John 13:34-35; 1 Peter 1:22, 4:8; 1 John 3:11), fellowship with one another (1 John 1:3-7, Acts 2:42-47), forgive one another (Ephesians 4:25-32), accept one another (Romans 15:7), serve one another (Galations 5:13-14), teach one another (Colossians 3:16), be patient with one another (1 Thessalonians 5:14), pray for one another (James 5:13-16), submit to one another (Ephesians 5:1-21), and encourage one another (1Thessalonians 5:11-15). Since our new identity is found in the person and work of Christ, new actions and a new way of living follow. The disciples’ devotion to the teaching affected their personal lives as well as their shared community. Through worship and obedient action together, their hearts were “glad and generous.” They did not merely do generous things, they had an inner transformation together. This is summed up in the word “fellowship,” which describes a community of active participation. Heeding the wisdom of our guitar instructor, we music majors devoted ourselves to classical guitar together. We would listen well and practice often; culminating in performing recitals and concerts, both as soloists and together in ensembles. There’s a drastic difference between being being a mere listener of music and being a musician. And although many can appreciate the sound of good music, its creation comes from those who not only listen but who also devote to practice and performance. So it is with discipleship in listening to Scripture. In Matthew 28:18-20, Jesus says, “All authority in heaven and on earth has been given to me. Go therefore and make disciples of all nations, baptizing them in the name of the Father and of the Son and of the Holy Spirit, teaching them to observe all that I have commanded you. And behold, I am with you always, to the end of the age.” In this gospel commission, Jesus charges the disciples to make disciples by bringing to bear both the “information” and “application” of the good news together for transformation. First, we see that “teaching” is sharing the information of the gospel. Jesus states that all Scripture bears witness about him (John 5:39) and that Scripture written about him in the law of Moses, Psalms, and Prophets would be fulfilled in him (Luke 24:44). Since all Scripture is about Christ, this is what we are to teach. This is the information of the gospel. Second, we see the application of the gospel in the instruction “to observe all that I have commanded you.” Teaching is not a one-time passing of information but the ongoing action of kneading the gospel into the hearts and minds of disciples through observing what has been taught. When questioned by the religious elite of the day, Jesus replies, “You shall love the Lord your God with all your heart and with all your soul and with all your mind. This is the great and first commandment. And a second is like it: You shall love your neighbor as yourself. On these two commandments depend all the Law and the Prophets.” In quoting Scripture from Deuteronomy 6, Jesus displays his authority over the Old Testament as well as the continuity of God’s redemptive plan in gospel discipleship. Third, we see transformation in Christian discipleship. Discipleship begins with Christ (“all that I have commanded you”) and involves both a teaching disciple (“teaching”) and a learning disciple (“to observe”). Yet teaching information alone is not sufficient in becoming a disciple. Likewise, merely adhering to what is taught or commanded does not truly encompass discipleship. True discipleship in light of the gospel gives disciples of Christ a new identity that results in new action. This transformation is a work of the Holy Spirit that includes both instant and ongoing action. As we listen to Scripture, the Holy Spirit works to transform us, empower us, and mature us together. Jeremy Carr (ThM, MDiv) is lead teaching pastor and co-founding elder of Redemption Church in Augusta, GA. He has been a member of the Acts 29 network since 2007 and has written for the Resurgence. Jeremy is husband to Melody and father to Emaline, Jude, Sadie, and Nora. His book, Sound Words: Listening to the Scriptures, will be released by GCD books in May. Twitter: @pastorjcarr.